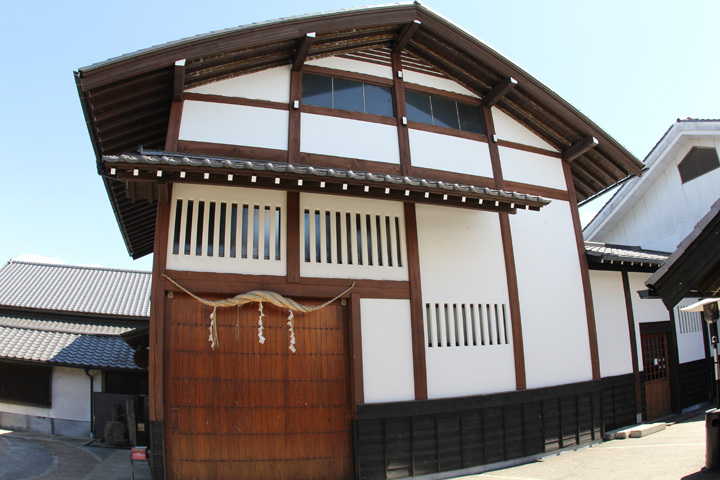 Originally known for their sake production, this nearly 190 year old brewery has remained standing strong for almost two centuries now. 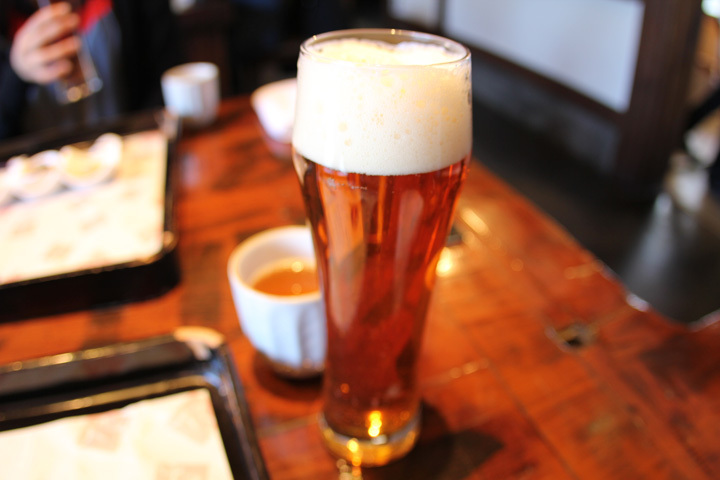 Kiuchi first started making beer in 1996, just before Japanese law made it nearly impossible to establish yourself as a beer brewery. Strict tax laws and license requirements prevent nearly anyone from starting their own business today. Luckily Kiuchi got through just before things got revised. 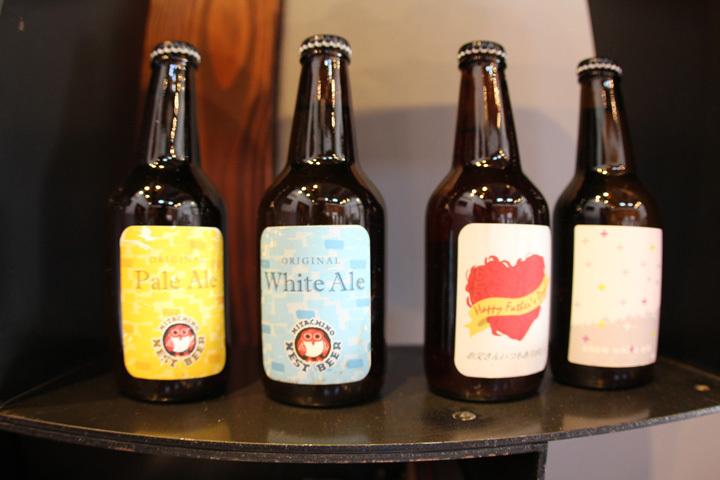 They established Hitachino Nest Beer to set their beer apart from their sake label and ever since, they've had a huge following. With 90% of their sales being from America and hardly being able to keep up with filling orders, along with a recent expansion, they have been doing an excellent job at meeting their demands. I was invited to see the brewery and spend some time with staff and wouldn't have passed the opportunity. After taking a 2 hour bus ride North to Mito City, Tomoko (Kiuchi staff) picked us up from the station and drove us 15 miles to the brewery. Upon arrival we were treated warmly and offered a traditional soba lunch from their restaurant, which ended up being a 5 course event along with a tasting of several of their beers. 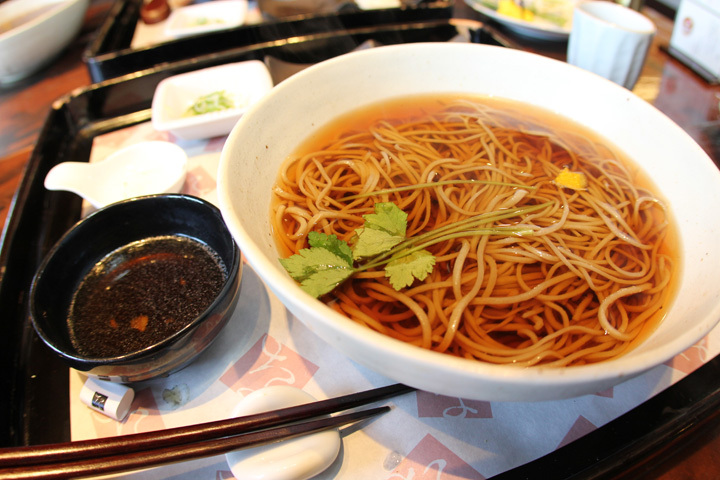 They make their soba noodles on location from some of the less premium grade rice thats left over from grain they can't use for their sake. They roll it and cut it to a specific diameter. I can't say I've had better, it was incredible. 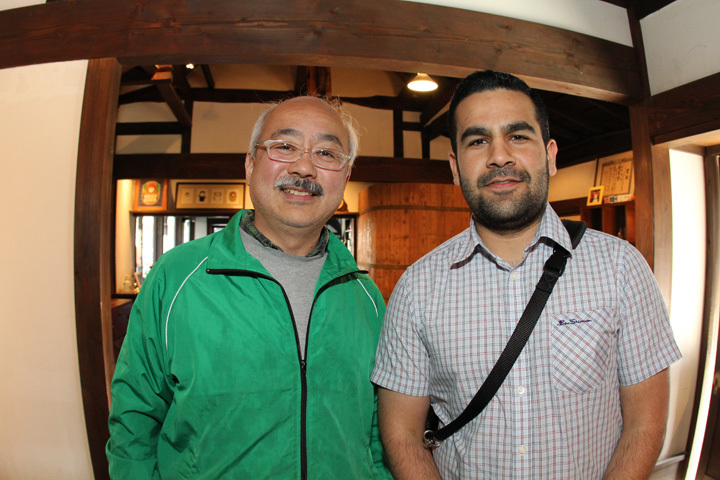 After lunch, we were guided through the sake facilities. First stopping at a room where they allow you to craft your own beer on location with the Kiuchi staff. After speaking with Tomoko, she mentioned that home brewing isn’t legal in Japan and there are no stores to buy equipment/supplies if you wanted to. 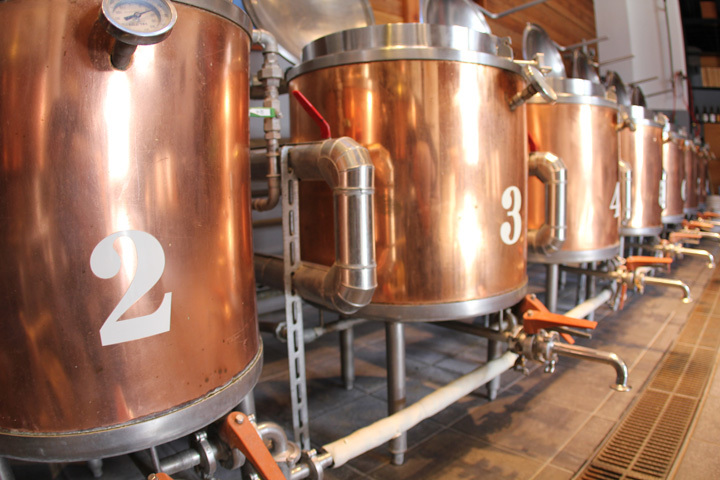 So in turn, they offer this service to give people a unique and educational brewing experience. They personally bottle and label all the beer you make and ship it to you. Unfortunately, if you live outside of Japan, this probably won’t be very practical due to the several week fermentation process and their shipping restrictions outside of Japan. 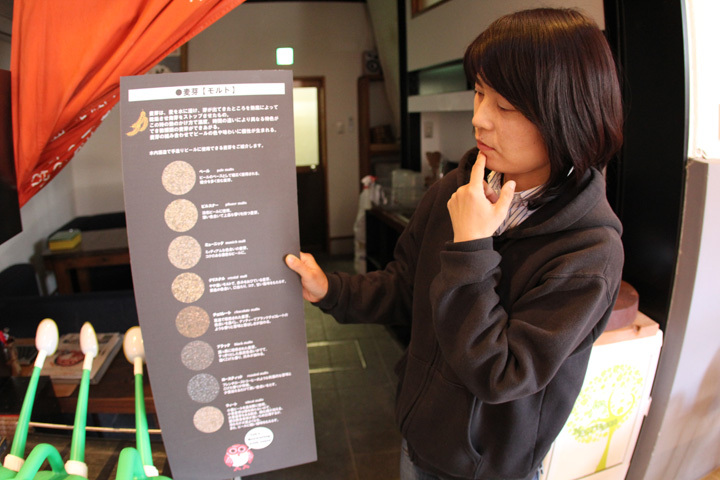 Tomoko explaining the various malt grains you can use. 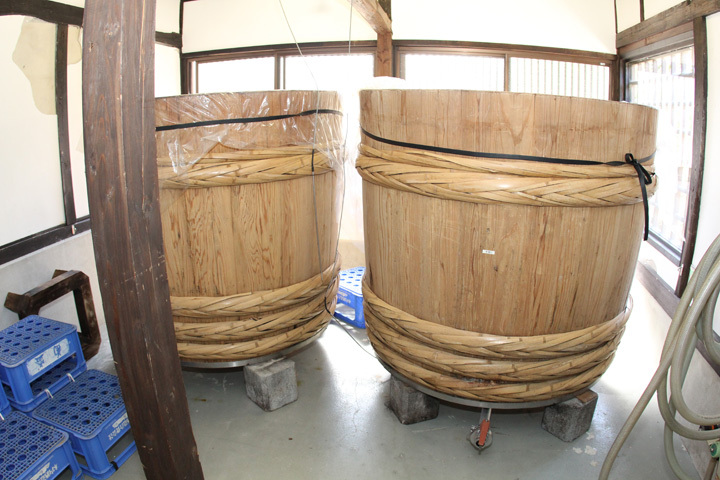 Then to the sake brewing area. This is what they’ve been doing for nearly 200 years, without any compromising in between and always producing their finest. We caught the end of the sake season. 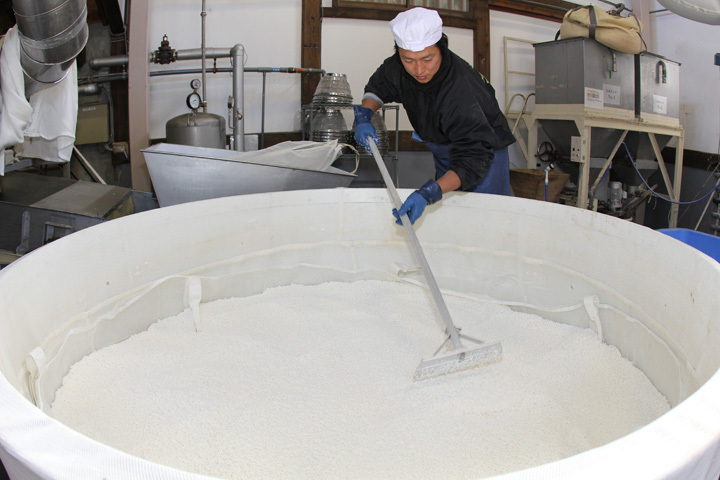 For anyone who may not know, sake is usually produced in the winter during a period when its freezing cold out and requires a lot of hard work. I’m no sake expert, but I believe its because of the low foreign bacteria levels and allows the sake to ferment in colder temperatures to avoid potential off-flavors. Early mornings and feeling frozen throughout their body is a typical day for these guys, but its what they live for. 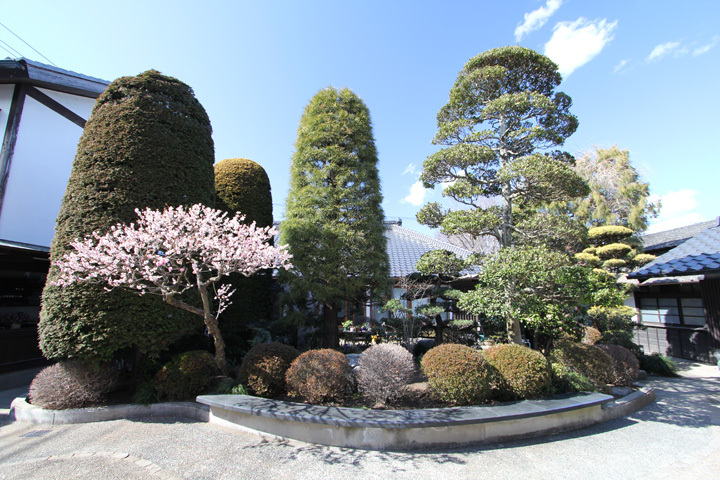 Next was the Hitachino Nest Beer location. 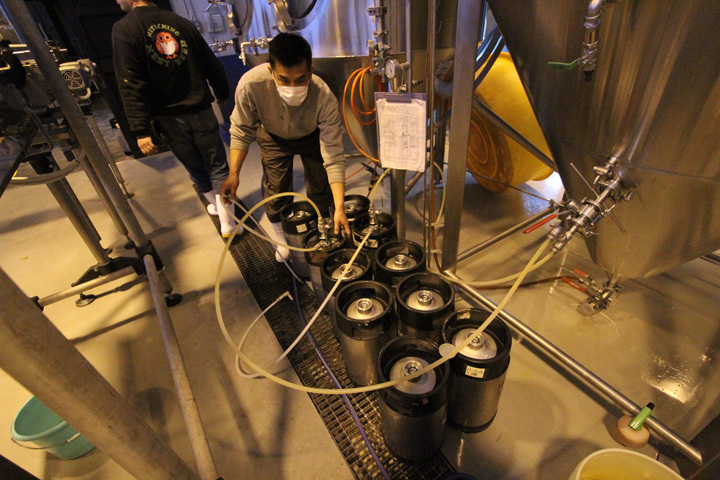 Koji Tani, the brew master at Hitachino, took time out of his extremely busy day to show off his own domain. He drove us another 15 miles to the brewery. On the way, he mentioned a collaboration he recently did with Garrett Oliver (Brooklyn Brewery) and some upcoming super secret ones with other very famous brewers. 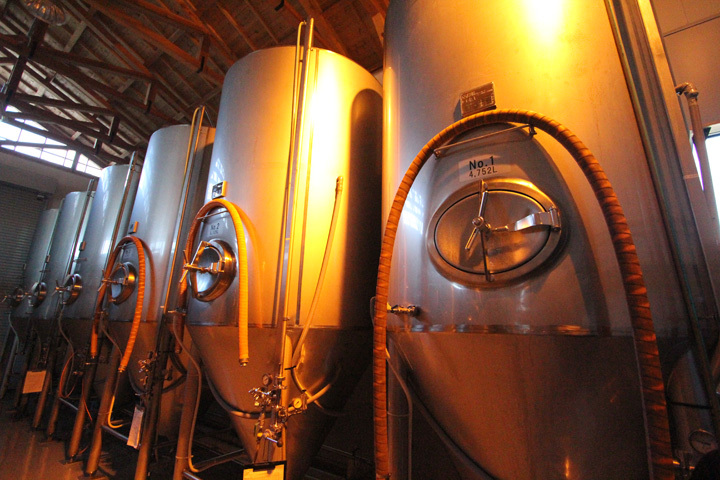 When we arrived he showed us around and had us sample all the beers fresh out of the fermenter tanks. Some of these have never been exported outside of Japan, so on top of everything else, it was another great surprise. On our way out, we were introduced to some of the brewery staff members and that’s when I decided to pull out my secret weapon. I brought one of the best beers in my collection to share and give as a gift to the brewery and its staff. 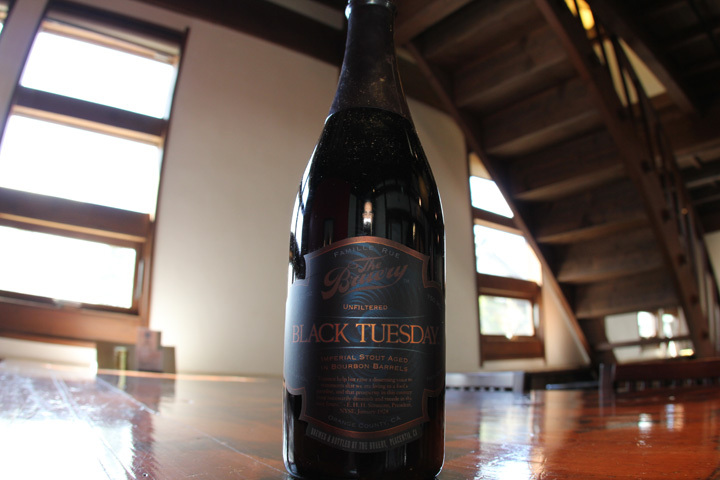 A bottle of Black Tuesday. Generally reselling for some ridiculous amount of money on eBay, I was lucky enough to get a few bottles from The Bruery at their release event. After being treated so graciously, it was the very least I could do. They were very excited to see the label and happily accepted my offering. 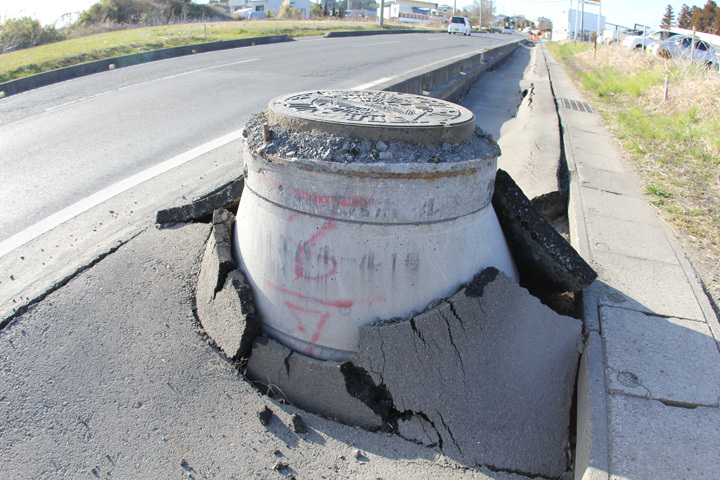 On the way over we stopped to see some of the earthquake damage that took place here in Ibaraki-ken. It was unbelievable. Sewer lines raised several feet out of the ground, office buildings raised up just as high, roads splitting, etc. 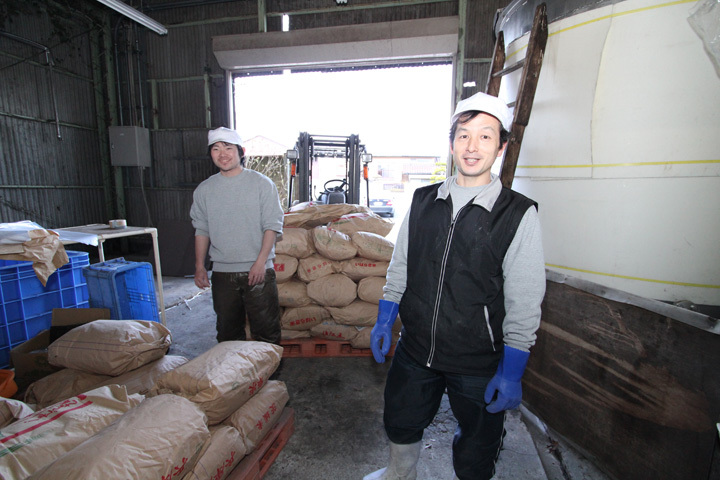 Most of the town's water supply was cut off for a couple weeks because of the earthquake, except Kiuchi, who have a water well directly tapped from a source below their brewery. Kiuchi Brewery, being the awesome people they are, halted all production and bottled 6,000 bottles of water for their town and to donate towards the tsunami relief. After being taken back to Kiuchi headquarters, Toshiyuki Kiuchi (of the Kiuchi family) made an appearance and put a aside a few minutes to say hello. He shared some gifts, spoke with us for awhile and told us to come back the next time we're around. When I first really started getting into beer several years ago, there was one label that I can say attributed to my interest more than any, Hitachino Nest Beer. I can remember the moment pretty clearly the first time I came across their label. It was my first time seeing unusual ingredients in a beer. After trying it, the moment occurred where I separated beer from all entities of life and decided this was something I wanted to get into. Since then, I've been an avid fan and after experiencing this day I've grown even respect and admiration for the people behind the name. 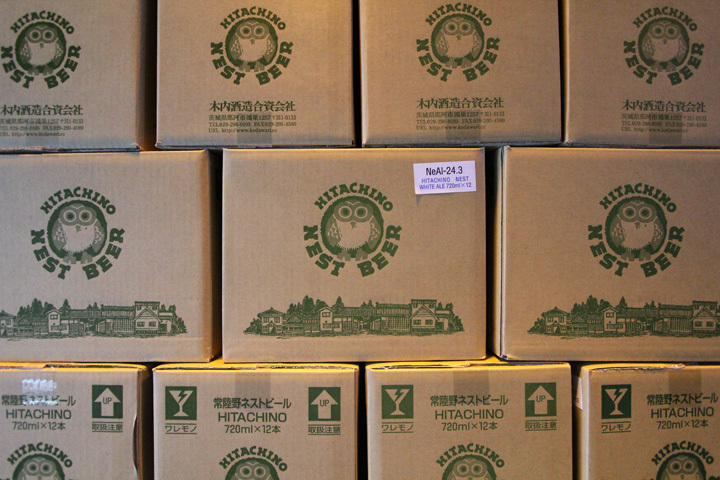 Thank you to everyone at Kiuchi Brewery and Hitachino Nest Beer.